For those of us who live in places that have cold winters, snow isn’t a huge deal. Yes, when you get the first snowfall of the season, it’s naturally a bit exciting but not, like, the most exciting thing ever. Now imagine that you hadn’t had snow for years and you went through each winter with gross rain, but it was never exactly cold enough to warrant a good snow. 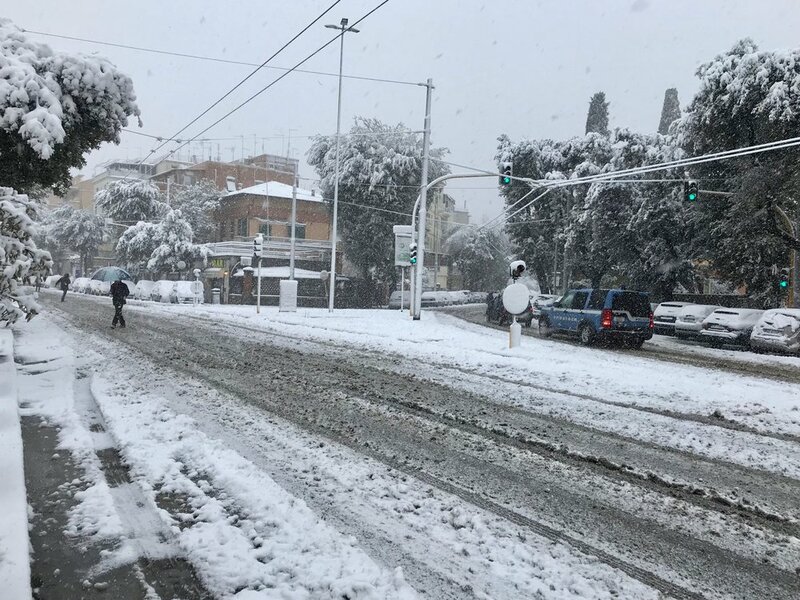 For all of those reasons and the fact that it hasn’t snowed for 6 YEARS in Rome, what happened this week was a Big Deal. I went to bed Sunday night hoping, praying and doing a snow dance, but I didn’t expect anything to come of it. But in the morning, I woke up to a blanket of snow on my balcony. Of course I ran outside to see it and felt like a kid at Christmas. The schools were closed, the buses and metros all but shut down, and it was a work from home day for me. This nun is not messing around.. rain or snow, she's off to the market to do the daily shop. I got all dressed with Edoardo who, although he played it cool, was probably more excited than me, and off we went on an early morning adventure around our neighborhood to make some snowballs and snowmen. I only fell once (whoops) but it was totally worth it. So many tree branches and smaller trees fell down during the storm from the heavy snow and ice. Everyone we passed on our walk was chatting excitedly and the kids were outside playing. It seemed like every bar that was open (and there were many closed, along with stores and other family-owned places) was a hot spot for gossip about how much snow there was, how long it would last and, “But what do I wear in this weather? !” type of conversations. By 11 am, the sun was shining and the snow started melting. By Thursday, all of it melted off the streets with the light rain that we got. 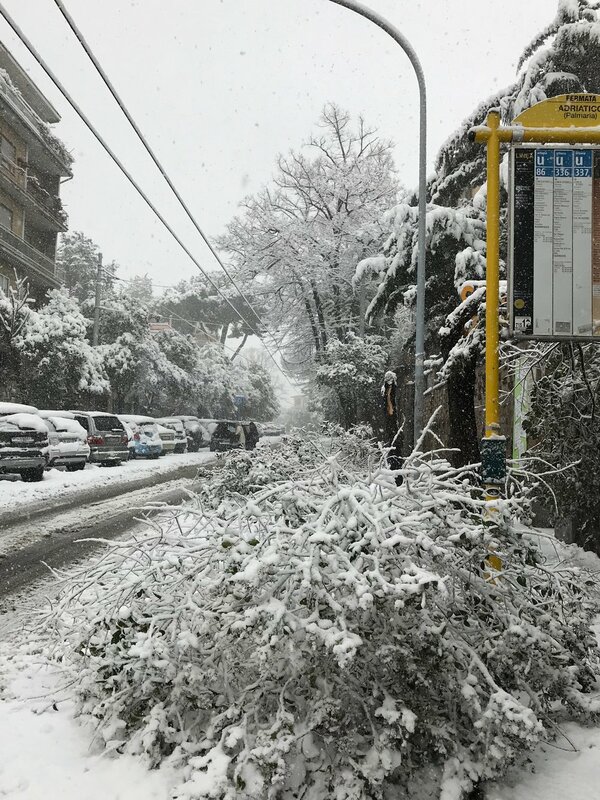 But we’ll all remember February 2018 as the year it snowed in Rome, and talk about it incessantly until the next time we get some neve a Roma.